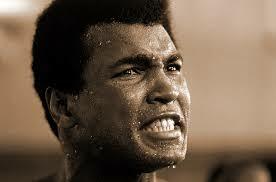 Today we look back on the life of a man who came into this world as Cassius Clay. He captured the attention of America, not only by his prowess in the ring but by the stand he took against the Vietnam War. While he is eulogized across all media outlets, I wish to share a personal story about the day Ali came to our town. We were all in an uproar. 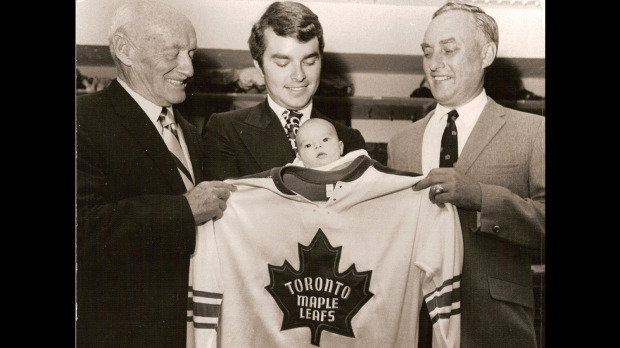 To set the stage, I must part the mists of time and go back to the month of March 1966, when a fight, booked at Maple Leaf Gardens in Toronto, tore our family asunder. The stadium built on a wing and a prayer housed many boxing matches, but this was a fight like no other. My grandfather, Conn Smythe, still at the helm as Chairman of Board, hit the roof over the prospect of a known draft dodger darkening the door of his temple. A veteran and hero of two world wars, he was a consummate military man who felt that that duty to one’s country was sacrosanct. The only reason the fight was booked north of the border is that no American stadium would allow the match between Ali and Ernie Terrell to take place. Small town radio disc jockeys were having a field day saying that in no way shape or form would their town allow the Ali/Terrell fight. My grandfather agreed. The Forum in Montreal declined, and he believed we should do the same. My father, Stafford Smythe, President of the Toronto Maple Leafs, and a war veteran himself chose not to slam the door in Ali’s face and refused to knuckle under. We in the Smythe family had two fights on our hands. As the youngest daughter and a preteen at the time, we were all involved in the donnybrook. My mother thought my grandfather would cool off in time. My brother, the go-between, told us otherwise. It was less than a year since we lost our grandmother, the peacemaker, and we were scared. A way out presented itself when Terrell, unable to meet the financial obligation, backed out. My father’s partner, Harold Ballard, in charge of all non-hockey related attractions and the man who had set the whole show on the road, refused to budge. He found a Canadian boxer by the name of George Chuvalo to accept the challenge. With a scant twenty-three days in which to train, we had a new fear that raced around the school yard, was discussed by Moms over coffee, had people calling our house incessantly, and seemed like a real possibility. Ali would kill Chuvalo. Everyone said if he didn’t kill him he would knock him out in the first round. It would be a joke, a waste of time for anyone who bought a ticket, and a disgrace to Toronto and our beloved Maple Leaf Gardens. My father would have blood on his hands. As the day approached, my grandfather had neither softened nor cooled. He increased his efforts, calling boxing officials and trying to get the match stopped. Ali crossed the border and arrived in Toronto. He later said that he had never been treated as nicely anywhere. The fight was one of the greatest of Ali’s life. It went fifteen rounds. 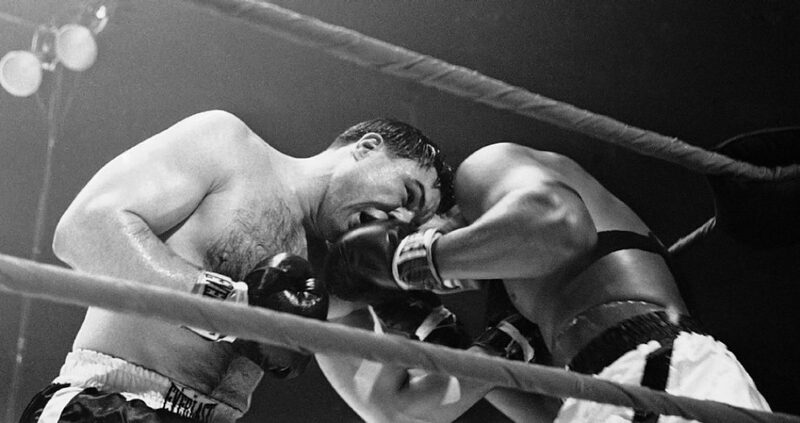 George Chuvalo came out from his corner with fierce determination. He remained standing to the bitter end. He was incredible, and so was Ali. 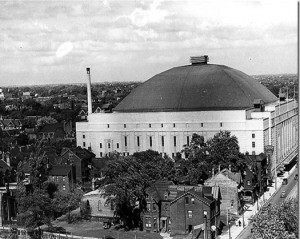 It was the greatest fight to ever take place at Maple Leaf Gardens. It changed our lives. It was a turning point. One day over lunch when describing this incident to a friend she said, “Isn’t that the Rocky story?” George Chuvalo is still with us. He is as strong as ever, and he is still one of my heroes. At this point in time, as we say farewell to Ali, may he be remembered as the champion he became. There is more to his story than meets the eye. He was supposed to do what he was told; I heard this just about everywhere I went. He wasn’t obedient. He was uppity. He didn’t know his place. Perhaps this is true. He was a man who decided that his place was within the realm of his own choosing. One could not help but admire the courage with which he lived his life. “Float like a butterfly, sting like a bee.” The stinging is over now. Float in peace, Ali. We will always be glad you came to town. This entry was posted in Memoir, Motivation, Sports and tagged boxing, Muhammed Ali on June 4, 2016 by Elizabeth Smythe Brinton.